Photo by Nicholas Eckhart. To check out all collecting tips, click right here. Once you’ve decided what games you’re planning on collecting for and you’ve done enough research to know generally which games are valuable and which are more common, it’s time to figure out where in your area is the best place to find games. Every area is different. And there are many variables that determine the places that are worth frequenting and which places aren’t worth your time. So for each place, I’ll discuss the general pros and cons of each location as well as some of my tips for picking there. Firstly, your most important tool in finding games with as little money as possible is thorough research. Knowing more than the sellers means being able to spot rare or valuable games that others will quickly overlook. Secondly, be sure to separate your doubles in a different area. Accumulating lots of valuable extra games will be helpful to use as trade bait when you have the opportunity to trade with another collector or seller, which we’ll get to on a later post. GARAGE SALES. For maximum potential to find huge treasures for dirt cheap, garage sales or yard sales are the way to go. All of my biggest hauls have come from yard sales. Yard sales are also the best places for beginner collectors, because it’s an easy way to find a lot of common games in one place, if you’re looking to complete a collection. The cons of picking at garage sales is that worthwhile finds are infrequent. I’ve gone a few weeks here and there without finding anything at all. And the gas money can really add up. Additionally, successful picking at yard sales usually requires waking up early in the morning, which can be especially frustrating if you don’t find anything. Generally, picking at garage sales takes practice. Routing which yard sales to stop by, negotiating with sellers and sifting through boxes for what you’re looking for can be be difficult to master. But after you get the techniques down pat, yard sales can be the best way to get tons of games for minimal money. Check out my yard sale and thrift store hauls right here for some valuable information about my approach to picking at garage sales and thrift stores. FLEA MARKETS. Similar to yard sales, flea markets can have big potential for finding gaming gems. But every flea market is different. Some have sellers who are just trying to move inventory for a fair price, while others have sellers who are determined to squeeze every cent out of customers. If you’re not sure about how much games are worth, you could end up overpaying. Look up all of the flea markets in your area and try to visit them all in the span of a month to figure out which are worth the trip and which you should avoid. Make sure you’re polite to sellers when you meet them, because when you’re interested in something they have to sell, they’re going to be easier to negotiate with if they like you. In fact, generally befriending sellers is always a good idea. Like garage sales, you may end up spending some money on gas if the flea market is far away. And there are no guarantees that you’ll find what you’re looking for. Flea market sellers can also be especially difficult to deal with. So try to find the best flea markets in your area to develop a picking routine. If you’re just starting to collect for a new console, don’t be afraid to ask if the seller will give you a big discount if you buy a huge lot of games. THRIFT STORES. Thrift stores are great, because many of the ones that accept donations are forced to get rid of any merchandise that doesn’t sell within a specified period of time. So you’re likely to find good deals for a wide range of games. Usually there is new merchandise added to the shelves on a daily basis. The problem that many collectors run into is that some of the prices can be really random. But you have to keep in mind that these people aren’t experts in how much games are worth. And while it seems easy for you to look up how much games are worth, when it’s your job to get merchandise on the selling floor as fast as you can, there isn’t a lot of time to research every item. So use this to your advantage. You know how much games are worth and they probably don’t. 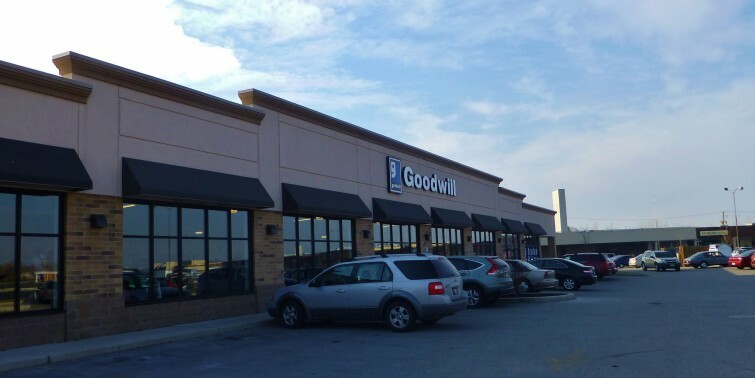 Usually thrift stores will sift through their sale items and mark down the prices of items that haven’t been purchased. So look out for which items you want to jump on and which you’re better off waiting for a better price. Ask a worker there when they put out new items (or what day they put out the most items) and consider visiting every week on that day. Also make sure you know the layout of the thrift stores you frequent. It can be easy to go straight for the electronics section and overlook the rest of the store when you’re looking for games. But sometimes you can find CD-based games scattered with the music CDs or DVDs. I’ve even found boxed NES games in the VHS section. Also be sure to check the toy section and the display cases. AMAZON AND EBAY. Every collector needs to familiarize themselves with where to buy games online. Because there are limitations to buying only from thrift stores or garage sales. Obviously, the biggest pro to buying online is the massive selection. Almost any game that you’re looking for is available online– even the rarer titles. If you’re starting a collection for a new console, consider browsing for good deals on huge gaming lots. Although you’re not likely to find games for garage sale prices, with enough patience, you can games cheaper than market value. Use online tools for receiving updates on the games and gaming accessories that you’re looking for and figure out the best tactics for sniping on the more sought after items. Also learning about the buying process with sites like eBay and Amazon will be beneficial if you decide to sell on these sites. If you find a rare game for Playstation, but you focus more on collecting for Super Nintendo, you could sell the Playstation game for money towards games you’d rather have. For beginner collectors, try to avoid using eBay at first unless there is a game that you’re looking to play right away or one that you’re not likely to find in the wild (i.e. at thrift stores, garage sales, Craig’s List or other places for below market value). Later into your collecting career, there will be games that you can only find on eBay. LOCAL GAME STORES. Game stores are a unique source for retro games. These stores typically sell games for market value. There are a lot of great local game sellers and there are just as many stingy and often dishonest sellers who exploit buyers with huge mark ups. So you’re going to want to get to know your local game store owner(s) if there is a local game store in your area. Find out how they price their games. Usually sellers stick with the website Price Charting, which averages recent sales on eBay and Amazon, for their prices. The sellers who are cryptic about how they price their games are the ones who you should look out for. As you are further in your collection, connecting with other collectors will become essential– so essential, in fact, that Retro Chronicle will feature several pieces in the near future about networking and trading with other collectors. There are several ways to meet other collectors. Facebook, Instagram and retro gaming forums can help you find other collectors in your area. Take the initiative, introduce yourself and get to know what the other person collects. Always be polite and upfront. Building a mutually beneficial and mutually respectful relationship will be important for when it’s time to exchange trade lists. Even if you’re away from other collectors, trades with other collectors can still be conducted by shipping. Not only have I been able to make several trades with collectors from around the world, I’ve also been able to make lasting friendships.